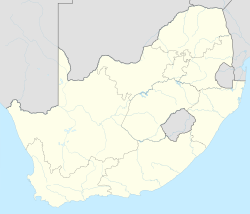 Durban North is situated just north of Durban in the eThekwini Metropolitan Municipality, created in 2000, which includes the greater Durban area in KwaZulu-Natal, South Africa. It lies between the N2 freeway and the eastern seashore, with the Umgeni River forming its southern boundary, known by locals as Dave's beach. Its residential suburbs are some of Durban's most affluent and elite, having maintained their pedigree from pre-apartheid days. It is flanked by La Lucia in the north. Briardene, Red Hill and Glen Anil are its main industrial areas. Its more affluent residential suburbs include Glen Anil, Glen Ashley, Glen Hills, Virginia and Greenwood Park, Durban North. Park Hill, Umgeni Park, Avoca, Kenville and Sea Cow Lake are further South of Durban North. Chris Hani Road is the main industrial arterial in Durban North, abutting Briardene and Glen Anil industrial areas. The M12 Kenneth Kaunda Road/Umhlanga Rocks drive links the western suburbs of Durban North to the Umhlanga Ridge. The Ruth First Highway (M4) connects Durban North to the city and Umhlanga Rocks along the coast. Virginia Airport is situated along the northern shoreline. Durban North's beaches, including Beachwood, Virginia and Glenashley beaches and Dave's beach stretch from the Umgeni River mouth to the suburb of Glenashley. The Beachwood Mangroves Nature Reserve conserves the shoreline north of the Blue Lagoon. The Umgeni River Bird Park is located on the banks of the Umgeni River in Umgeni Park. Virginia Bush Nature Reserve is located in the suburb of Virginia, while Seaton Park Nature Reserve is found in Park Hill. Durban North has a municipal swimming pool and a number of parks serviced by the Ethekwini municipality, including the Durban North Japanese Gardens. There are a number of independent and government schools in the area. Independent higher education provider Varsity College has a campus in Durban North. Regent Harriers, a popular running club founded in 1960. Durban North Hockey Club, an amalgamation of the Glenwood Old Boys and Crusaders Hockey clubs. Durban Wings Club, a club for members interested in flying and associated interests. ^ "SA'S BEST SUBURBS: Leafy and gated". Financial Mail. Retrieved 2016-09-23. ^ "Virginia Bush Nature Reserve". www.durban.gov.za. Retrieved 2016-06-22. ^ "Durban North Swimming Pool on Kznkids". Kznkids.co.za. Retrieved 2016-06-22. ^ "Varsity College Durban North campus". www.varsitycollege.co.za. Retrieved 2016-05-20.